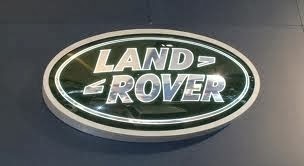 Sellers Comments - Land Rover Series 2 first registered 05/11/1963. This is a very rare and genuine ROYAL ARMY SERVICE CORPS Land Rover. They were responsible for keeping the British Army supplied with all its provisions barring weaponry. Nice and straight along the sides as you can clearly see. This has been well loved and looked after. Only 6 owners from new. FULL 12 MONTHS MOT WITH NO ADVISORIES.. It is very solid and chassis is very good and clean. EMISSIONS VERY CLEAN AS WELL. Mileage is showing as 77,100 and I have no doubt that this is genuine. I have a few old mots in the history file, with the oldest one from 1981 showing mileage of 64,000. Diesel engine starts on the button after preheating by pushing the button. Runs, drives and stops as it should. You won't break any speed records with the old gal......never designed to do that! Just a really well looked after early Series 2.